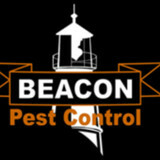 BEACON Pest Control was founded in Ocean Shores as a family business in November of 1989. With little more than experience, a 1965 Ford pickup and a lot of determination, we set out to build the kind of service company that anyone would be able to recommend to their closest friends and family with confidence. BEACON Pest Control is expert service, timely advice and people who care about you while protecting your health, property and the environment. We constantly strive to be good neighbors and good stewards of the environment. To that end we regularly volunteer our time and resources to aid in the rescue of injured wildlife. As active members in the communities we serve we frequently assist State and Federal agencies and local law enforcement with wildlife monitoring, capture, triage and transport. BEACON Pest Control was built on the trust and confidence of our friends and neighbors. We continue to grow, providing services from Olympia to Ocean Shores and from Matlock to Raymond. For over 25 years, BEACON Pest Control has been providing some of the most advanced services in the industry. Our goal is to continue to be the kind of company you can recommend without reservation. OilTrap Environmental specializes in Electrocoagulation (EC) for improving water quality regardless of the application. From industrial waste water to stormwater and boatyards, OilTrap can successfully remove contaminants such as oil & grease, heavy metals, suspended solids and much more from your wash water, stormwater or wastewater all while lowering water treatment costs and meeting all EPA regulations. OilTrap guarantees to bring your wash water, wastewater, stormwater, pressure wash water and more to dischargeable and recyclable levels. Find environmental services and restoration professionals on Houzz. Narrow your search in the Professionals section to Markham, WA residential environmental testing and home disaster restoration services to find a list of qualified professionals. Read through professional profiles for information on qualifications, experience and services provided.